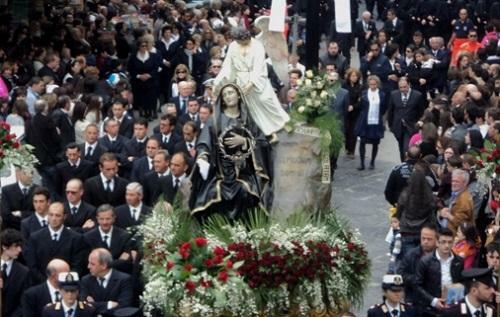 Procession of the Madonna della Vergine Desolata (Our Lady of Desolation). 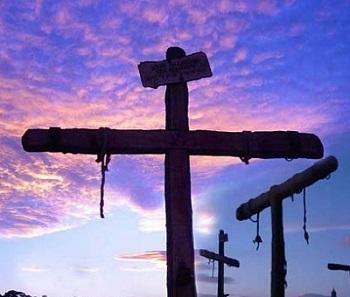 Through these manifestations of popular mercy and pity, there are residues of paganism and superstition that are the sign of a different but no less meaningful approach to the sacred. 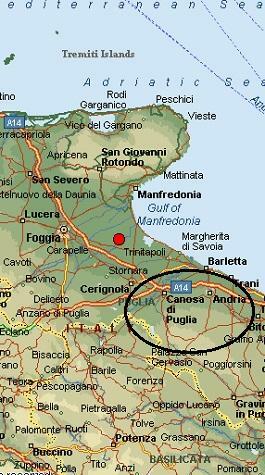 Canosa is located in the Apulia region, in the province of Barletta - Adria Trani , not far from the Ofanto River where the Romans found refuge after the defeat of the Battle of Cannae. 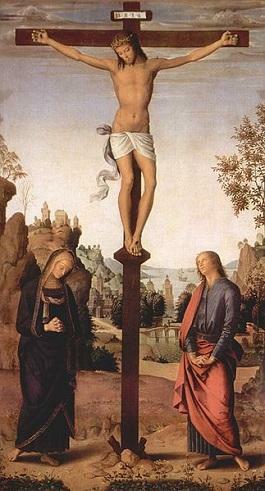 Pietro Perugino's depiction of Mary at the Cross. 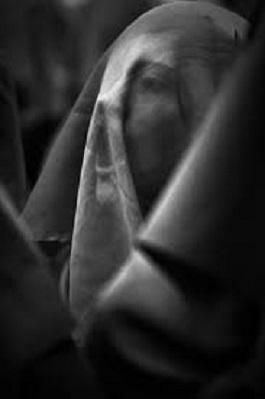 The title of the sorrowful hymn is an incipit (first line) of the first line, Stabat mater dolorosa hymn (The sorrowful mother stood ). The Dolorosa hymn, one of the most powerful and immediate of extant medieval poems, meditates on the suffering of Mary, during his crucifixion. 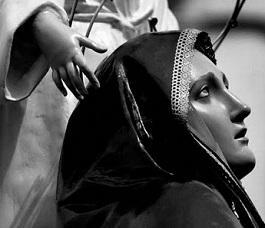 It is sung at the liturgy on the memorial of Our Lady of Sorrows. 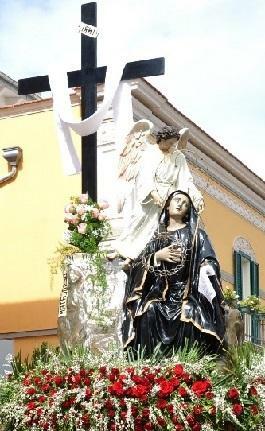 The Dolorosa was well known by the end of the 14th century. 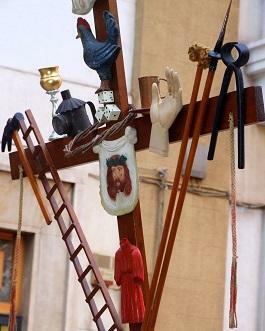 In Provence, about 1399, it was used during the nine days processions. Stabat Mater Speciosa (The beautiful mother stood) first appeared in a 1495 edition of the Italian poems of Jacopone da Todi. 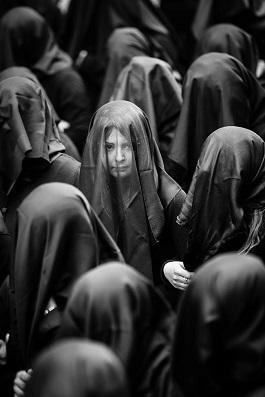 Our Lady of Sorrows or our Lady of the Seven Dolours are names by which the Blessed Virgin Mary is referred to in relation to sorrows in her life. In common religious Catholic imagery, the Blessed Virgin Mary is portrayed with seven daggers piercing her heart. 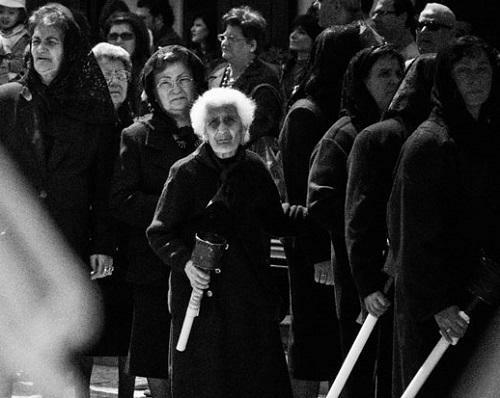 Emotional and touching is the procession in devotion to the Virgin of Sorrows, the Desolate, which represents the culmination of the Via Matris (way of the Mother) depicting the Seven Sorrows of Mary, a counterpoint to the Via Crucis, developed over the centuries by the the Order of the Servants of Mary. 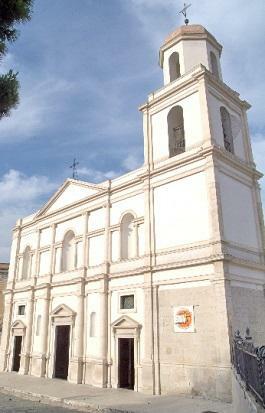 The event is orchestrated and planned in the smallest of details by the local Confraternita' (Brotherhood) association and it starts at the ancient Church of Saints Francesco and Biagio, in the historic Piazza Colonna, in a picturesque setting that makes it unique and compelling at the same time. 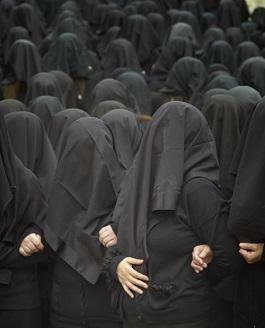 The emotional roller coaster begins when the "women in black", in unison, pull up their veils to cover their faces. 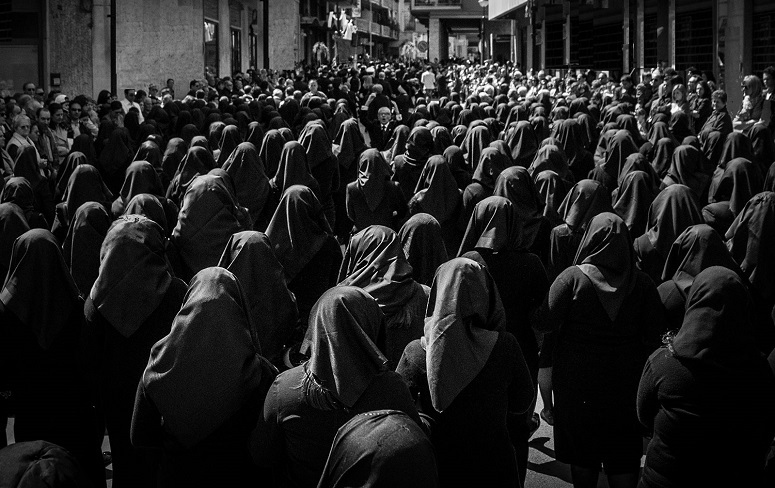 The unique scenery of these women and the vibrant loud notes of the poignant hymn, gives voice to the pain of the Virgin Mary mourning the death of her only Son, and in the tears of sorrow, every earthly mother shares the sadness of the maternal pain. 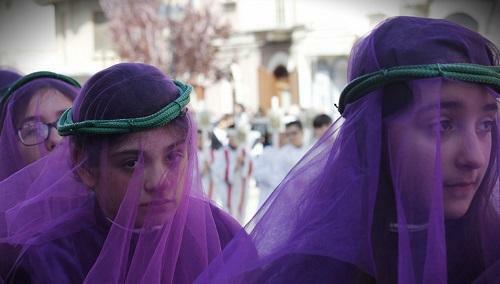 ...followed by young girls dressed in purple wearing a green crown. 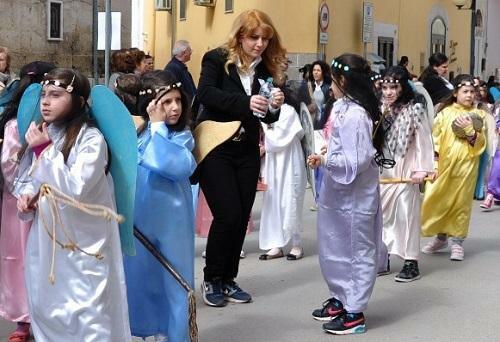 Soon after is a group of children dressed as altar boys carrying white crosses with images from the Via Crucis, followed by a group of adult women also dressed in black, each carrying a torch. 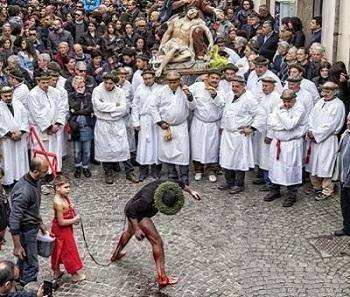 Behind are the priest and more altar boys followed by those responsible to collect donations. 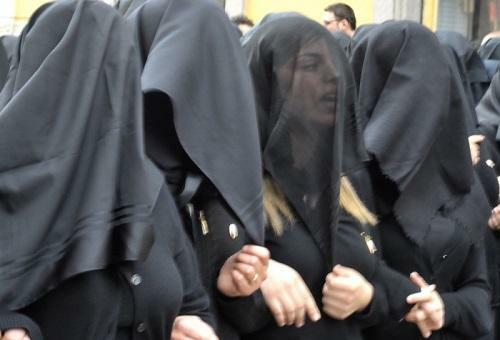 ...and preceding the musical band, holding each other arms, is the chorus of the black veiled women, singing loudly the Desolata's hymn. Lastly, the elderly , tirelessly following the event through the streets of the town all morning, with pride and feelings. till His Spirit forth he sent. ? Below - The Pietà (1498–1499) is a world-famous work of Renaissance sculpture by Michelangelo Buonarroti, housed in St. Peter's Basilica, Vatican City. 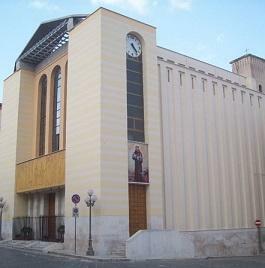 It is the first of a number of works of the same theme by the artist. 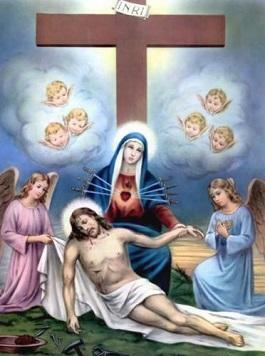 This famous work of art depicts the body of Jesus on the lap of his mother Mary after the Crucifixion. 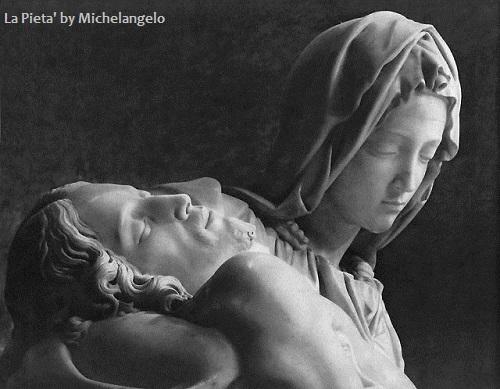 Michelangelo's interpretation of the Pietà is unprecedented in Italian sculpture. It is an important work as it balances the Renaissance ideals of classical beauty with naturalism. The sculpture, produced in 1753, is considered one of the world's great sculptural masterpieces. Antonio Canova (Venetian Italian sculptor whose work marked a return to classical refinement after the theatrical excesses of Baroque sculpture ) who once tried to acquire the work declared that he would willingly give up ten years of his own life to produce a similar masterpiece. 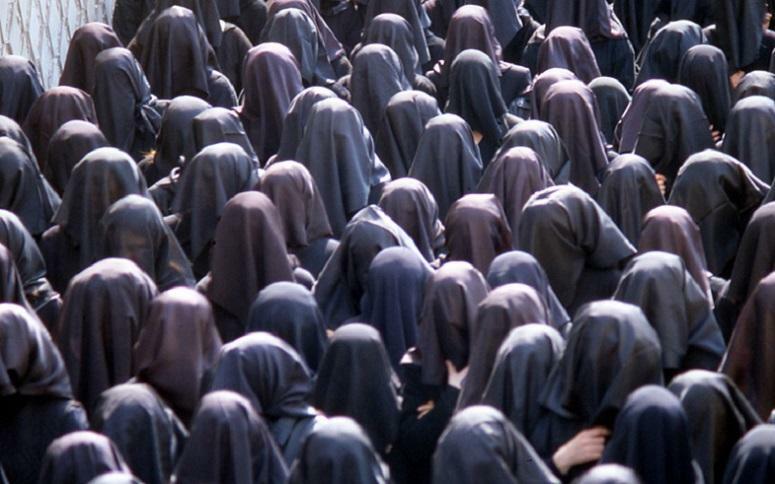 The Legend of the veil . 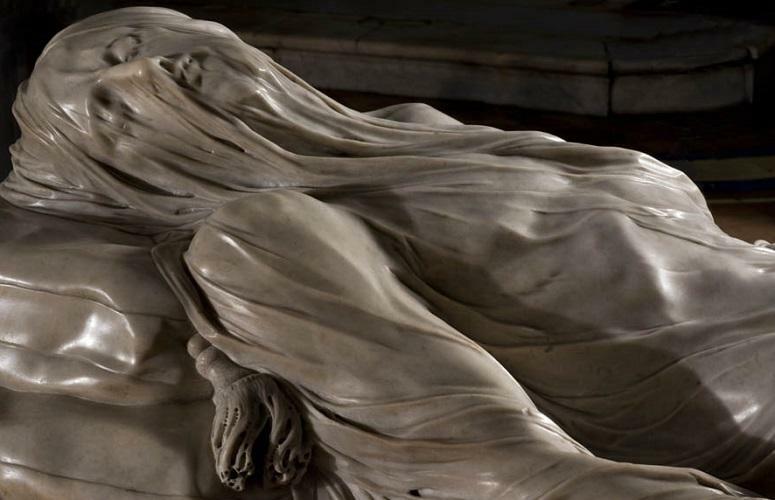 For about three centuries, in fact, many visitors to the Cappella, amazed by the veiled sculpture, erroneously believed it to be the result of an alchemical "marblification" performed by the prince, who was meant to have laid a real veil on the sculpture and to have transformed this into marble over time by means of a chemical process. 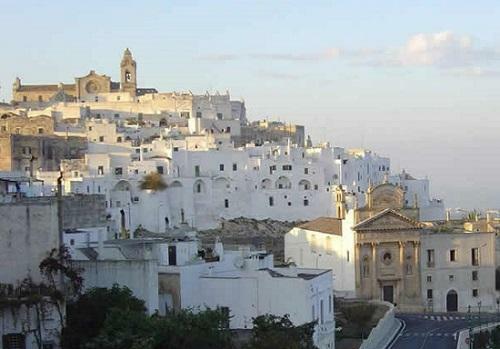 In reality, a close analysis leaves no doubt that the work was entirely produced in marble and this is also confirmed by some letters written at the time of its production.